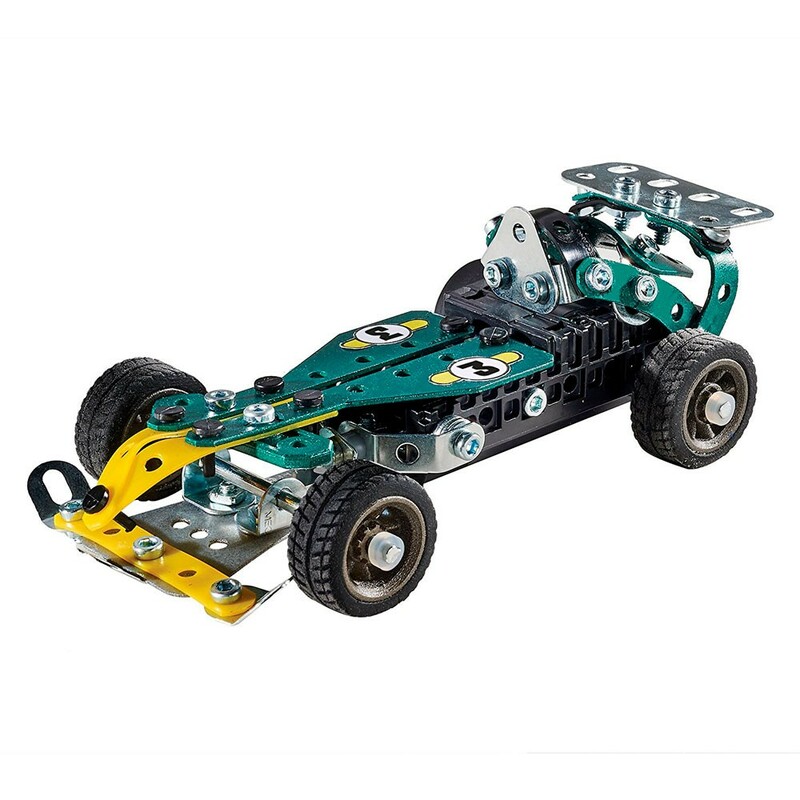 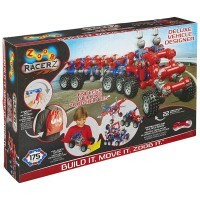 This Meccano construction kit lets young engineers create 5 different pull back cars. 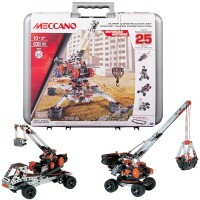 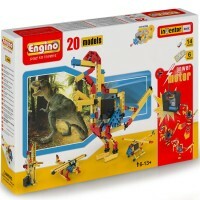 For 100 years Meccano has been making revolutionary construction sets that are adapted to fit in little hands, use real tools, move like actual machines, and are very realistic. 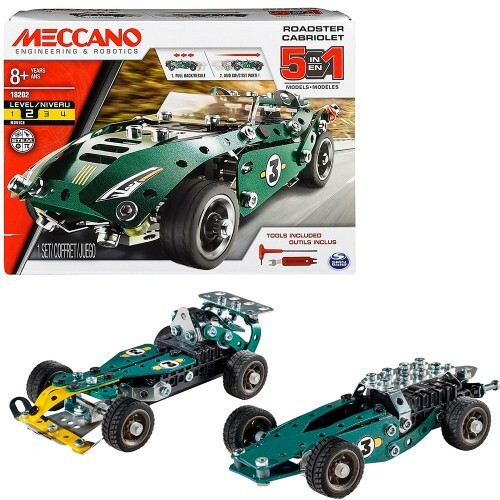 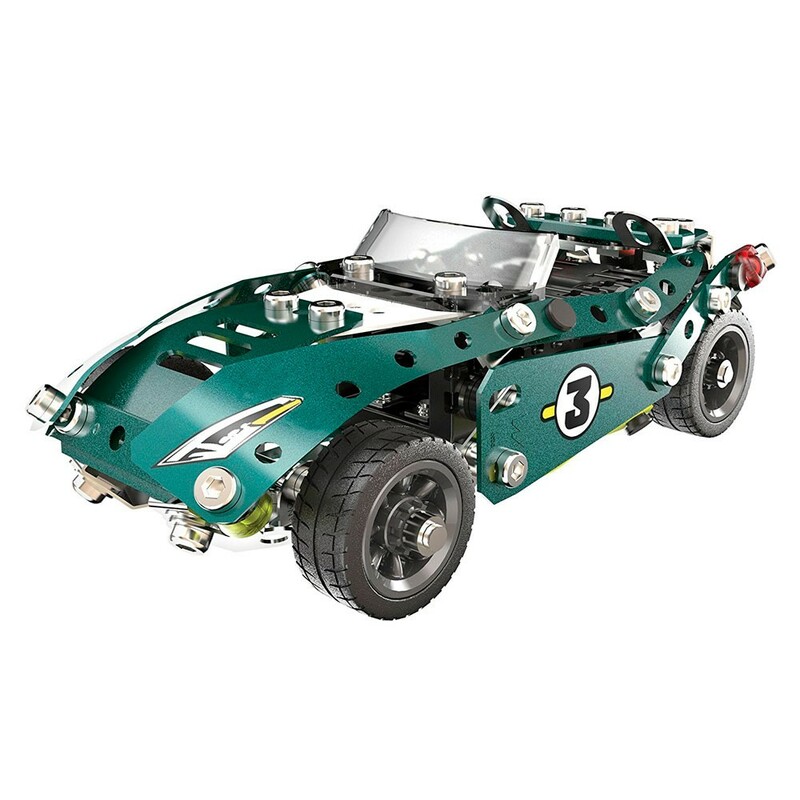 With the Meccano 5 Models Roadster Building Set young auto engineers will have lots of fun while building unique vehicle models. 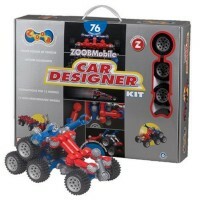 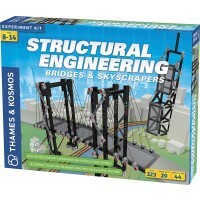 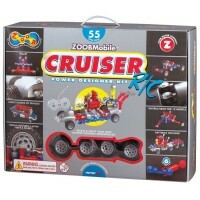 This construction kit includes 174 parts, 2 real tools, a sticker sheet, and instructions. 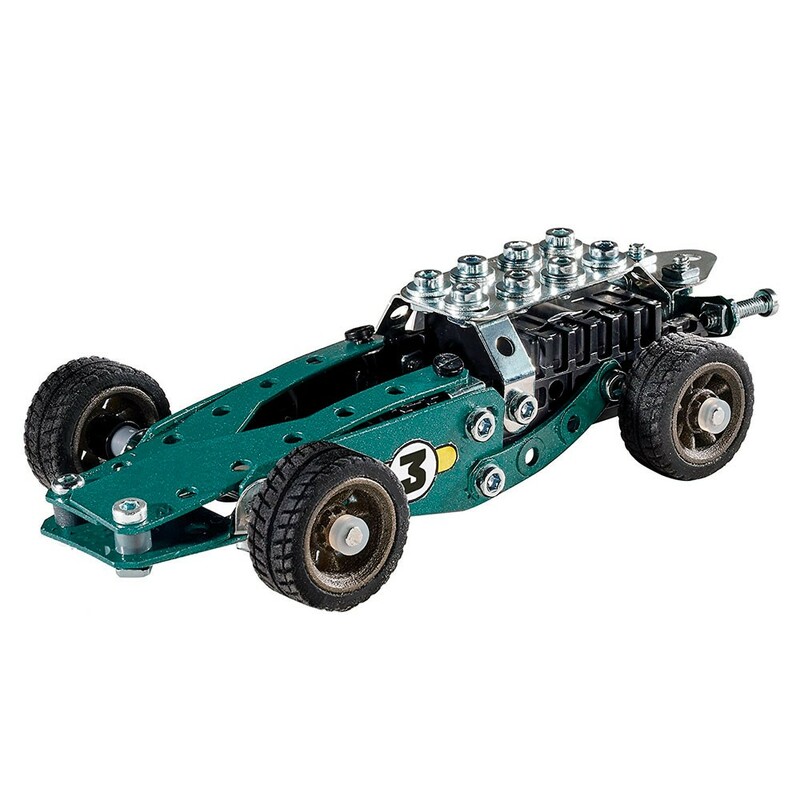 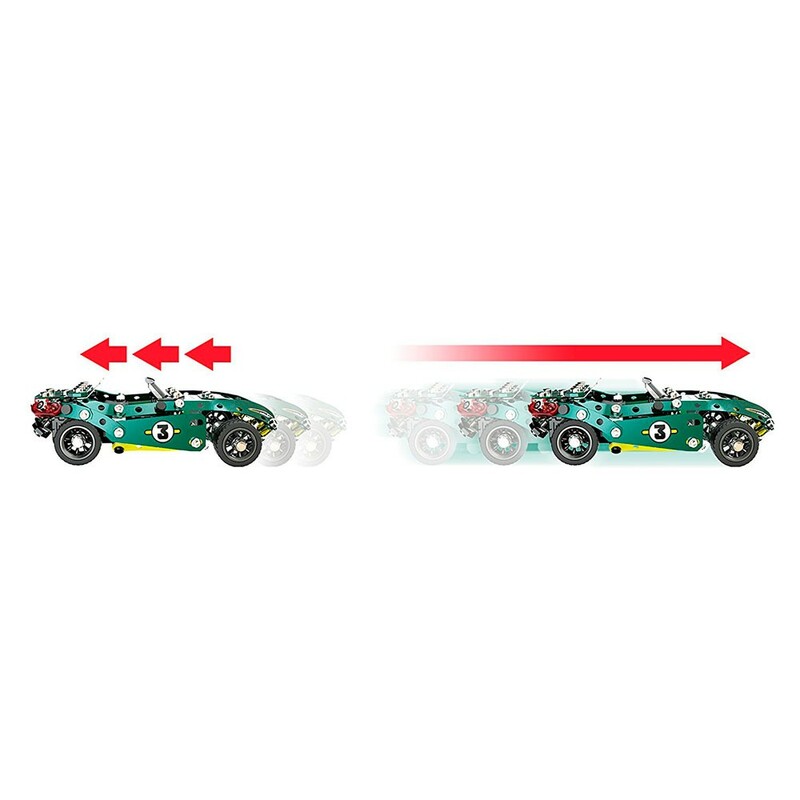 Kids can make 5 different pull back cars, one model at a time. 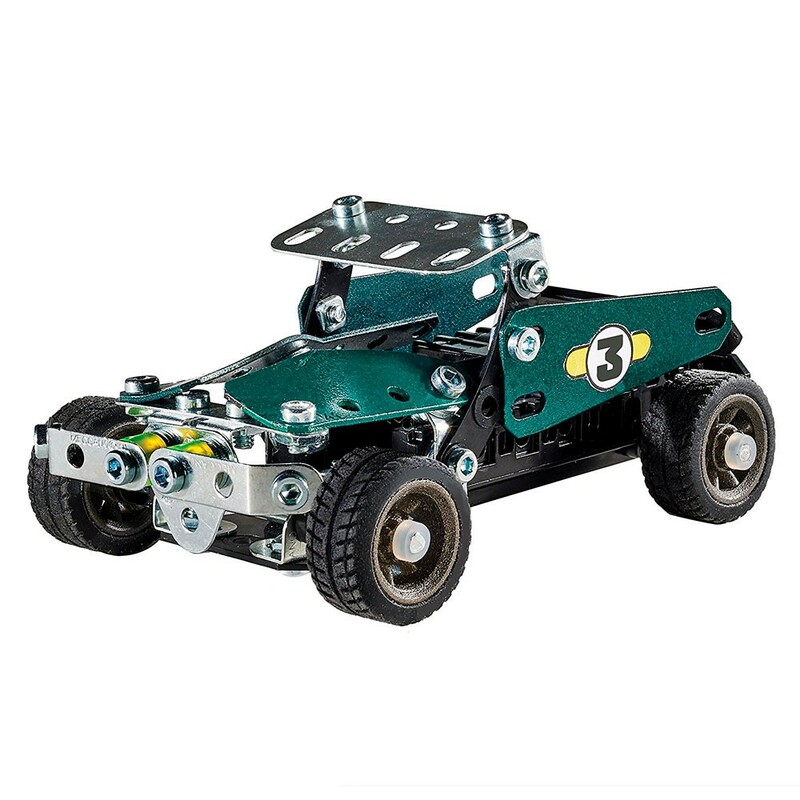 This engineering toy is compatible with other Meccano building sets from Educational Toys Planet, so children can use the pieces together for a fun learning experience! 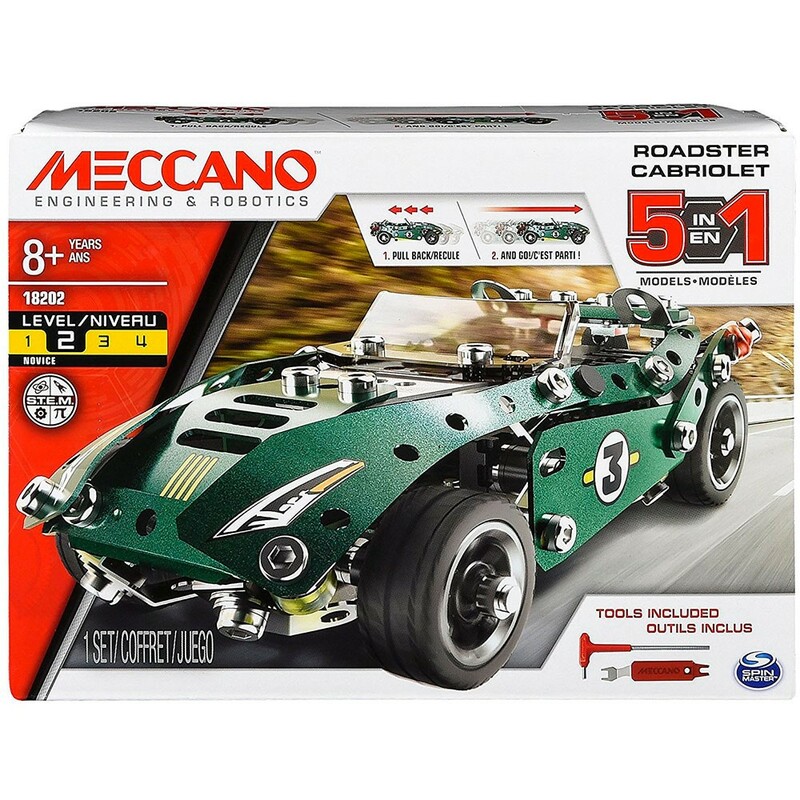 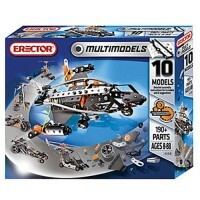 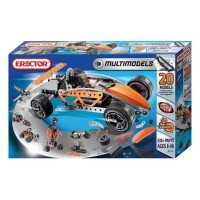 Dimensions of package 5.31" x 3.15" x 3.94"
Write your own review of Meccano 5 Models Roadster Building Set. 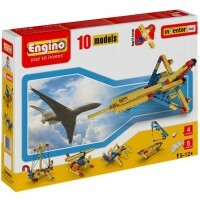 Rating: 4 My Nephew loved it! 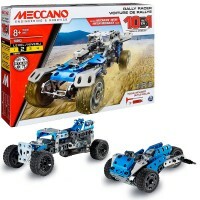 by By A customer It's my nephew's first Meccano toy and loved it!